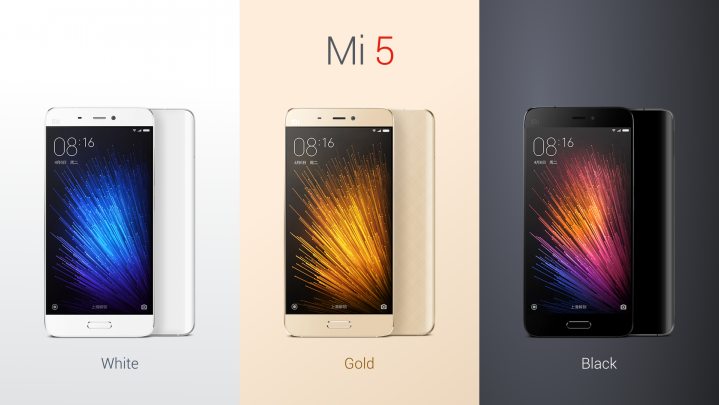 Xiaomi has come up with its latest Mi 5 loaded with premium specifications. Even though the company is featuring a high end features, Xiaomi managed to keep the price of Mi 5 at middle ranges. This makes the premium handset to be affordable by economy class people. The company officials made the claim that, new Mi 5 is capable of competing with high-end smartphones from Samsung, Sony and LG. let us see what makes Mi 5 to be placed equivalent to other premium smartphone makers. Mi 5 is loaded with a measurement of 144.6*69.2*7.3 mm and is loaded with a weight of 129 or 139 grams. Mi 5 supports dual-Sim featuring Nano-SIM. Mi 5 is loaded with IPS LCD capacitive touchscreen loaded with 16M colours. The display came with 5.5 inches wide along with a resolution of 1080*1920 pixels. Mi 5 also supports Multi-touch feature along with Mi’s own User Interface of v7.0. Mi 5 is powered by Qualcomm MSM8996 Snapdragon 820 processor. This Dual-Core processor includes Kyro with 1.8GHz and Kryo with 1.6GHz. The above is the case of ordinary devices. But when comes to other premium specialty handsets, this chipset comes with Dual-Core Kryo with 2.15GHz and Kryo with 1.6GHz.Mi 5 is enhanced with graphics by Adreno 530. The internal storage comes to be either 128GB or 64GB with a RAM of 4GB and 32GB with a RAM of 3GB. In each case the smartphone runs on Android OS of v6.0 Marshmallow. The main snapper of Mi 5 is loaded with a lens of 16MP enhanced with features like Phase Detection, Autofocus, Optical Image Sensing, Touch Focus, Smile Detection, Panorama and HDR. Video can be recorded with 2160 pixels @30fps, 1080 pixels @30fps and 720 pixels @120fps. The secondary snapper is loaded with lens of 5MP and supports video recording with 1080 pixels @30fps.Mi 5 supports dual nano SIM of either 3G or 4G LTE connectivity. The smartphone also supports WiFi connectivity with 802.11a/b/g/n/ac bandwidth. Mi 5 is also loaded with Bluetooth of v4.2, GPS with A-GPS, NFC, Infrared Port and Type-C USB port of v1.0. Mi 5 is loaded with sensors like Fingerprint, Barometer, Accelerometer, Compass, Proximity and Gyro. This handset is also loaded with non-removable Li-Po battery with a capacity of 3000mAh. This battery can be charged upto 83% within just 30 minutes with the Quick Charge of v3.0. The basic model of Mi 5 is priced at $305, while 4GB RAM, 64GB storage costs $350 and 4GB RAM, 128GB storage costs $410. The officials declared that the new smartphone will hit the market by March and the company will launch various colour variants like Black, Ceramic, Gold and White.